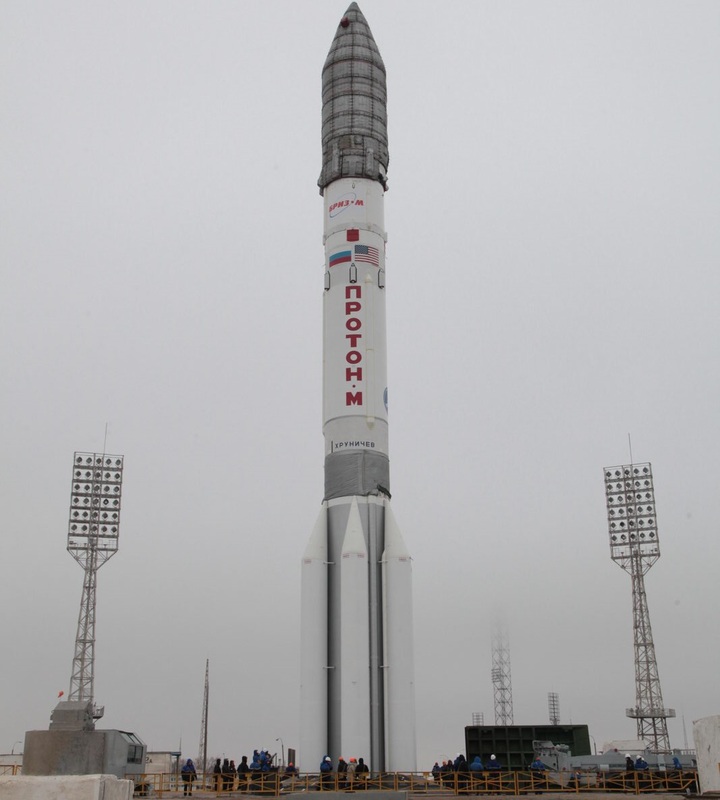 To deliver the Eutelsat 9B Spacecraft to an optimized Geostationary Transfer Orbit, the Proton-M Rocket will perform a nominal ascent mission and deliver the Orbital Unit consisting of a Briz-M Upper Stage and the Payload to a sub-orbital trajectory. 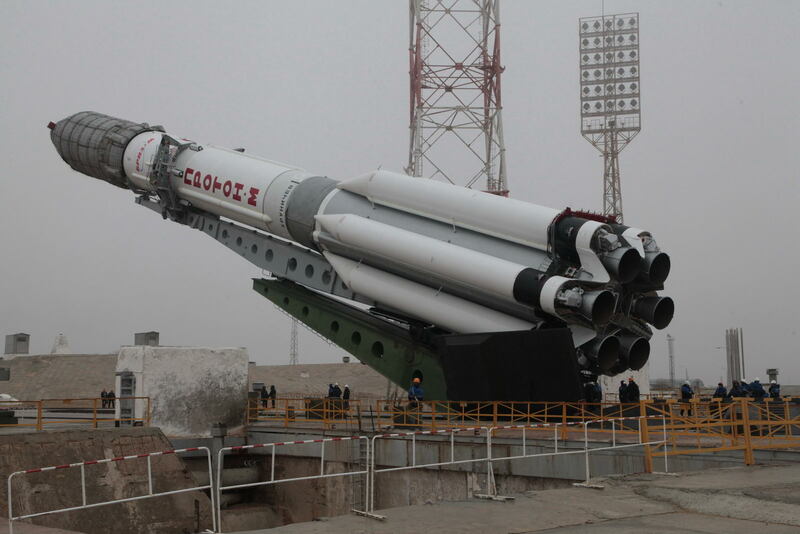 The large Proton-M Rocket will launch from the Baikonur Cosmodrome, Kazakhstan. 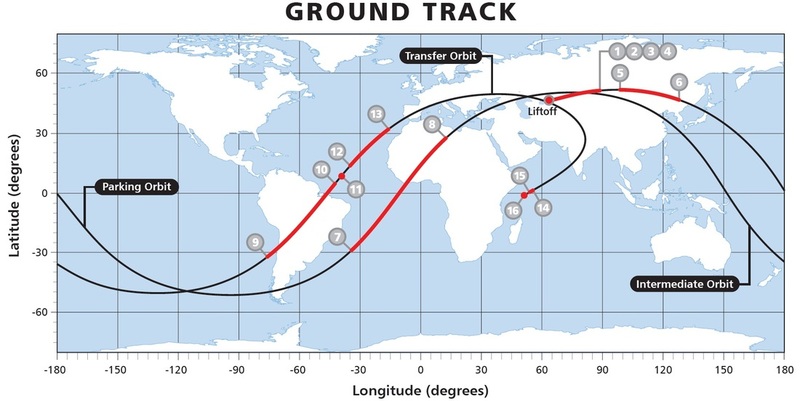 Separating after 9 Minutes and 42 Seconds, the Orbital Unit will start powered flight by igniting the Briz-M Main Engine to place itself in a Low-Earth Parking Orbit. 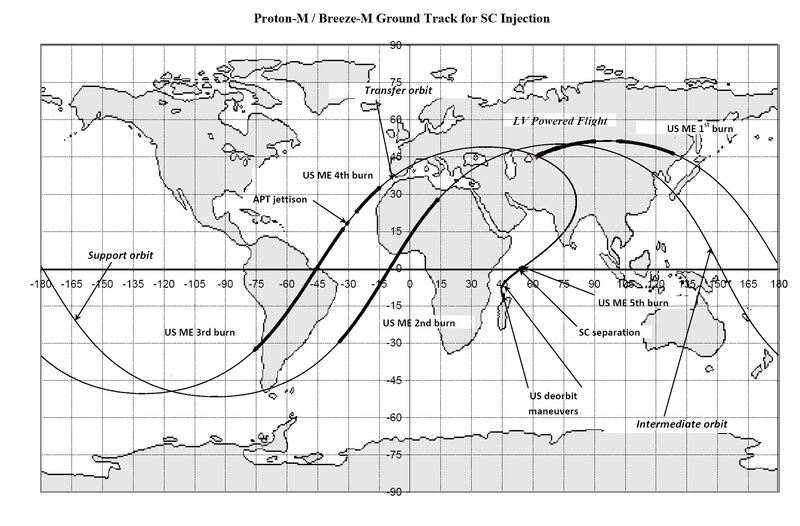 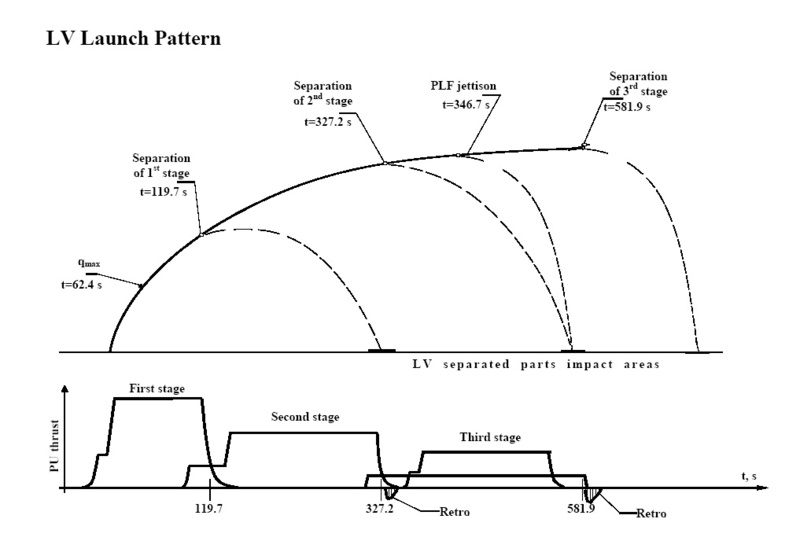 In total, the Briz-M Upper Stage will make five Main Engine Burns separated by coast phases to increase its orbital altitude in a methodical fashion. 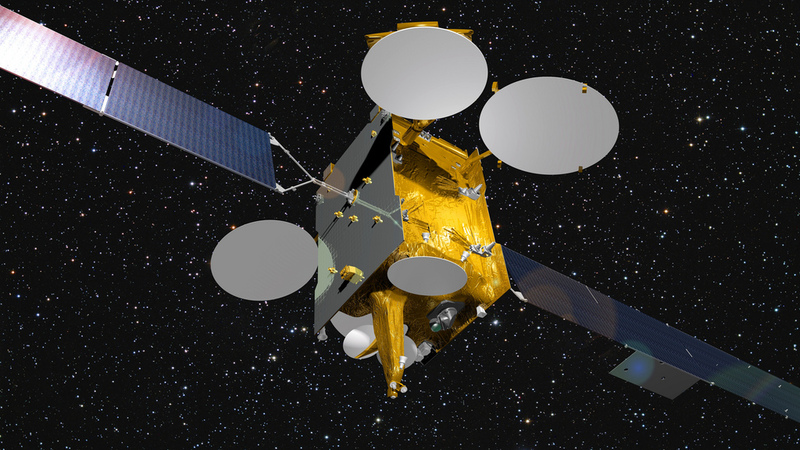 After all burns are complete, the Satellite will be separated 9 Hours and 12 Minutes after Liftoff and start its own mission lasting for 15 years.